When we first discovered that we had dry rot, it was a shock. 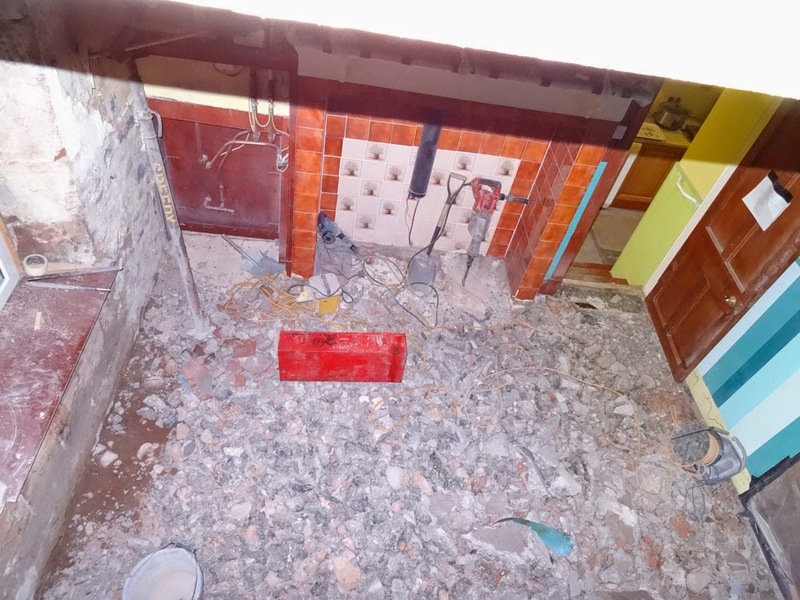 The various tradesmen gathered and predicted that it would take about three weeks to remove and replace and treat the damaged timber, unless they discovered more problems when they opened up the walls and floors. We reckon that the bottom of the house is about 300 years old, we know the top was put on in 1901 as we have the original plans. 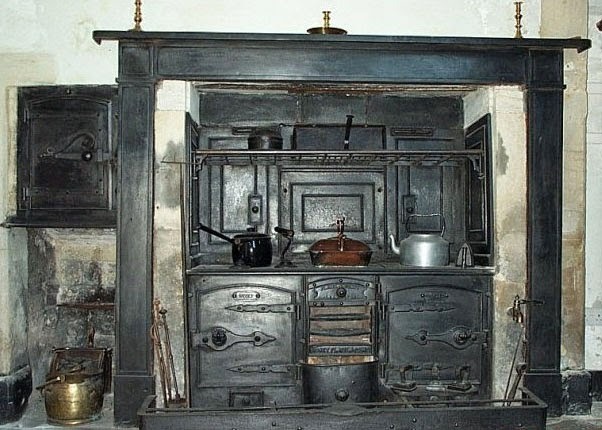 The house has passed through the family and my husband's grandmother would have cooked on a black range something like the one above. My mother-in-law can remember in the range being there in the 1930s. In the 1950's my mother-in-law and father-in-law replaced the range with a 'Super-Chatinette' which heated the water in a tank enabling them to have hot water on tap rather than heated in pans on the range. 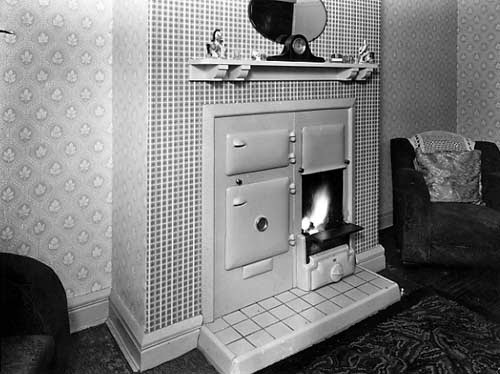 In the early 1980s the in-laws finally installed central heating along with a Franco-Belge solid fuel stove with hot plates and an oven. 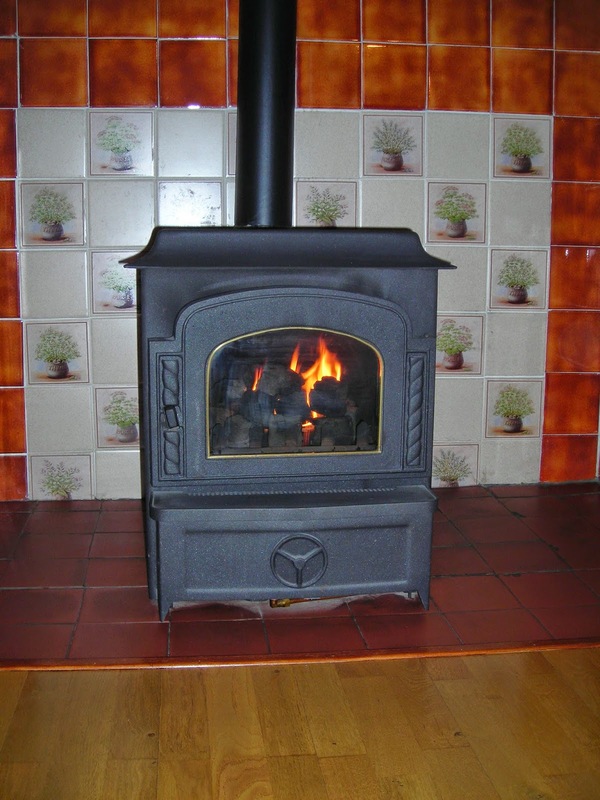 It was exactly the same as this one, it did the job but was no Aga. The heat in the oven was very variable, you could have it very hot, great for scones or very low which was fine for stews. 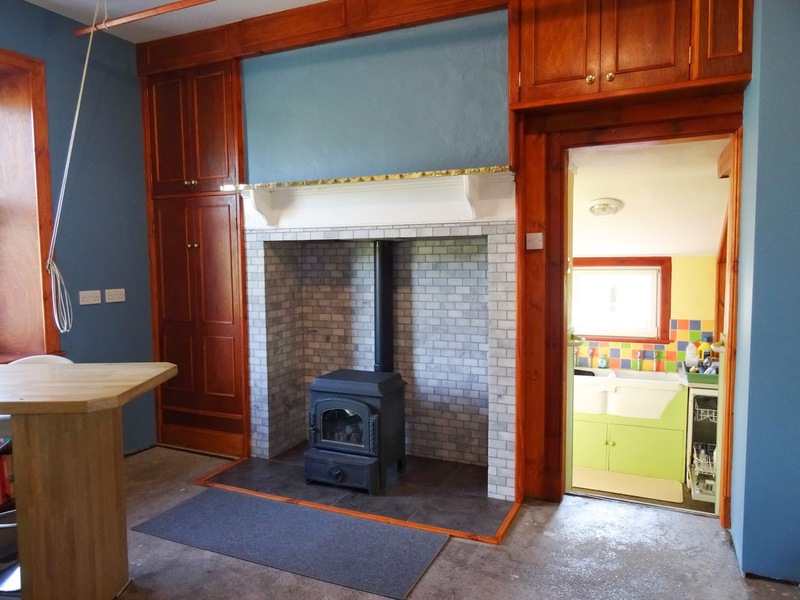 We fitted the current oil stove as a stand alone heater in the 1990s and filled in the space left by the larger Franco-Belge with some new tiles featuring pots of herbs. Our elder son told me he can remember us going to choose the tiles. The night we came home to this view of the broken concrete floor, was probably the worst point of all. The impact of the destruction of your home is something that cannot be underestimated. The photograph was taken from our bedroom above the kitchen, half the floor had been removed for dry rot treatment giving a view to the kitchen and fireplace below. Now on to the good part, finally I had the opportunity to choose my own tiles and create the fireplace that I wanted to see in my kitchen. I was delighted when British Ceramic Tile agreed to work with me to create a beautiful fireplace. British Ceramic Tiles are designed and made in Britain with a wide range of traditional and modern styles. The Elite collection is made up of five distinct natural marble ranges that release the true beauty of Indonesian stone. 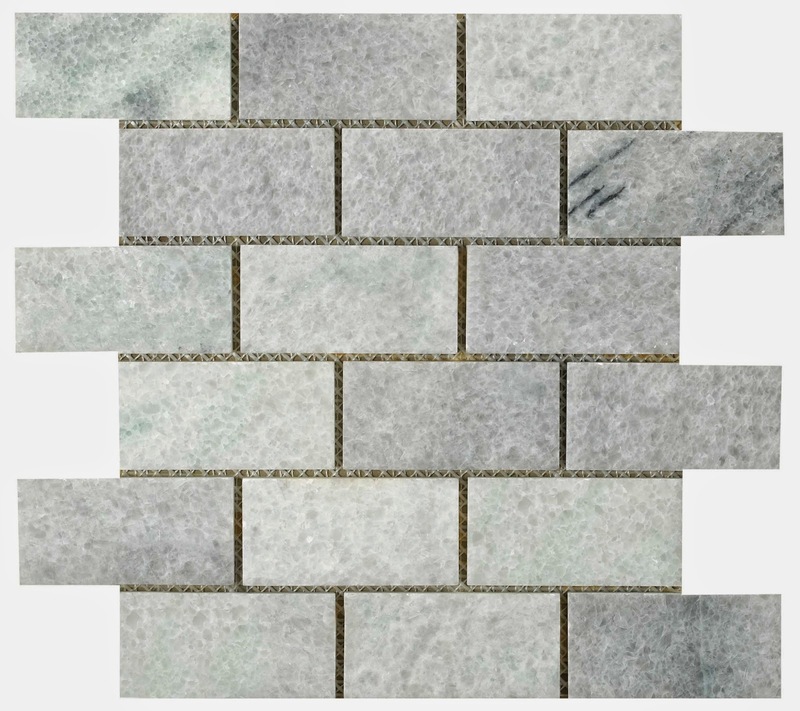 The Rice White Brick Mosaic is available in a 305x305mm size. 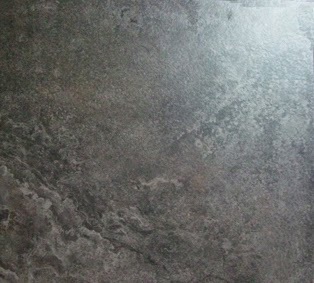 The porcelain multiuse tile comes in a 450x450mm size in a natural stone effect. 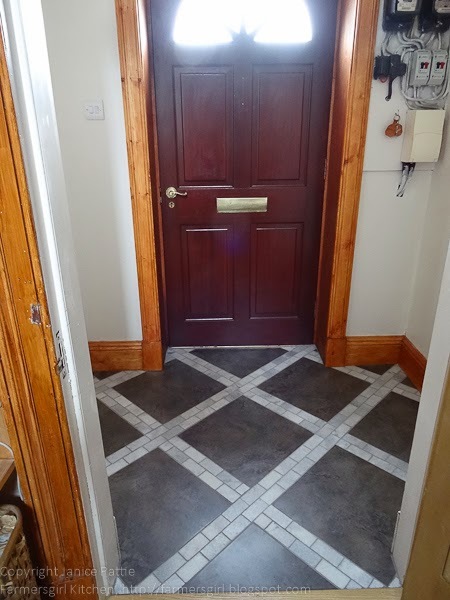 As recommended, I did order some extra tiles and had enought left to tile the front lobby, where the Edwardian floor tiles had also been damaged by the building work. Fortunately the tiles I had chosen were suitable for walls and floors and I'm absolutely delighted with the results. British Ceramic Tiles are widely available through independent tile suppliers, builder's merchants and DIY stores. If you are interested in finding out more about British Ceramic Tiles please contact 01626 831391 or 'like' their Facebook page. Many thanks to British Ceramic Tile for supplying me with the tiles, it's been a pleasure to work with them and The Lenny Agency. I was not paid for this post and all opinions are my own. Wow, what a superb kitchen you have! It will have been well worth the wait to get back in there and start using the rooms again. What an ordeal for you though! Thanks Dom, it is nice to have a happy ending. Once we get the wooden floor back down I'll take lots more photos as grey concrete isn't my choice of flooring! Thanks Alison, it's been amazing during this process to realise how unusual it is for a house to pass through the same family for such a long time, we have so much knowledge of the house and farm. Thanks Elizabeth. I do love my kitchen, it's kind of unusual. There will be more photos coming when I get everything unpacked and sorted. 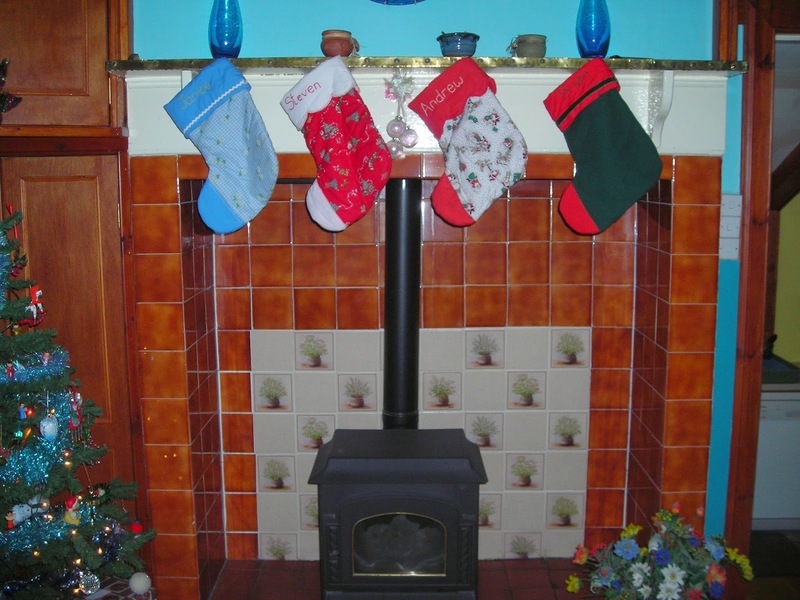 How fantastic to have such a distinctive family history of your house. It looks great now too! A house full of history. And such a lovely makeover too. 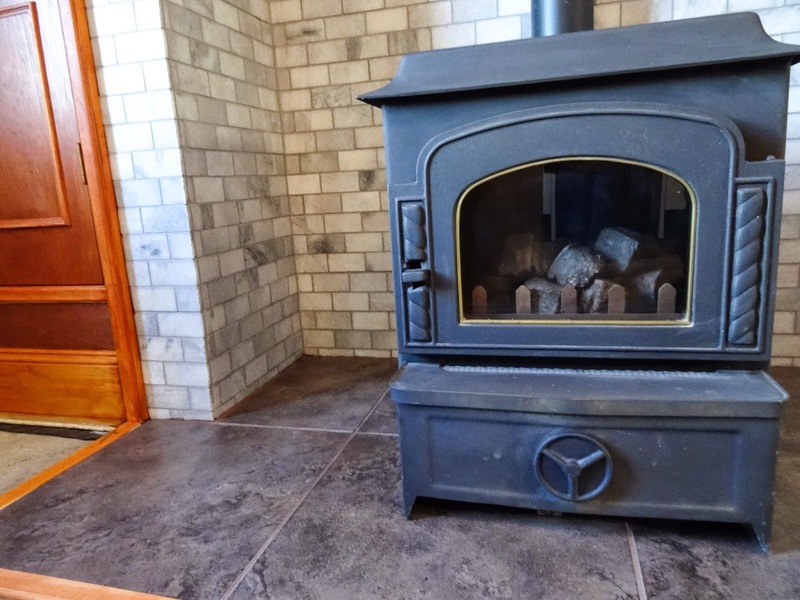 What an interesting post about the changes your range and fireplace has gone through!! Such fabulous history you have there too, which in this day and age is altogether very unique. I'm loving your new tiles, a lovely nod to the modern age and very attractive. Janice, it looks amazing! You're so lucky to know all the stories behind your house (or some of them, at least!) I know from my own experience how trying it can be to watch tradies destroy your home in the name of progress, but the end makes it all worth it. Hope you're enjoying having the house to yourself again! What a lovely end to the story, and a great history! 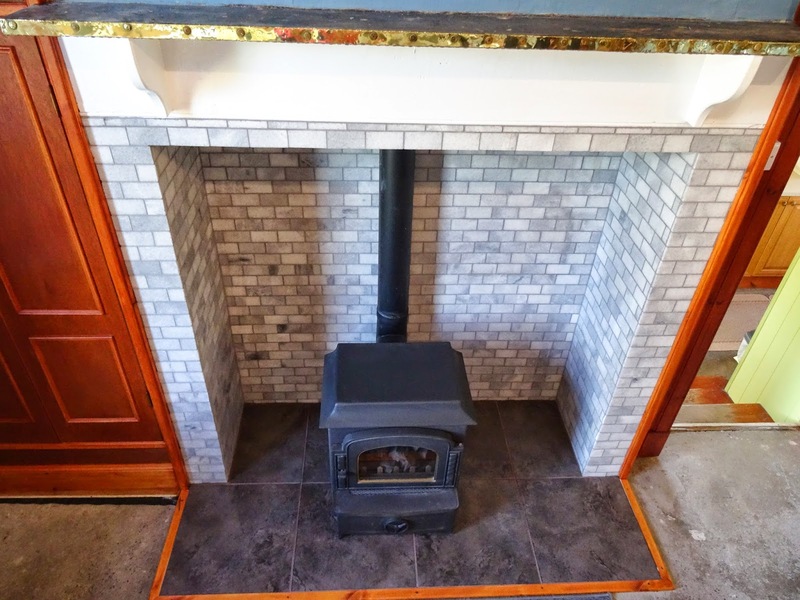 The new fireplace looks STUNNING and I look forward to seeing you return the rest of your house to your home once again, thanks!